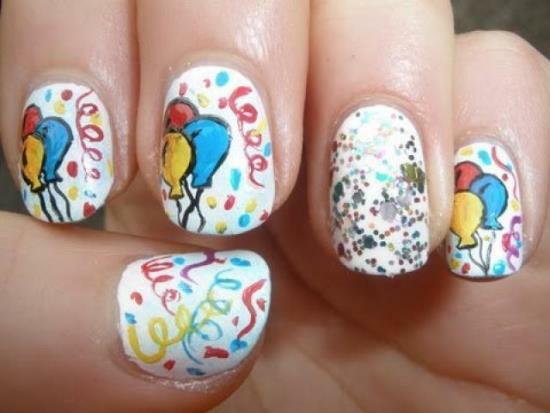 When you are celebrating your birthday, balloons, cake, decorative materials, gifts, and friends are a major part of the party. 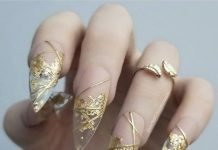 If they are so, then why not use them for your nail art. You have numerous designs and things you can paint on your nails that are related to a birthday party. 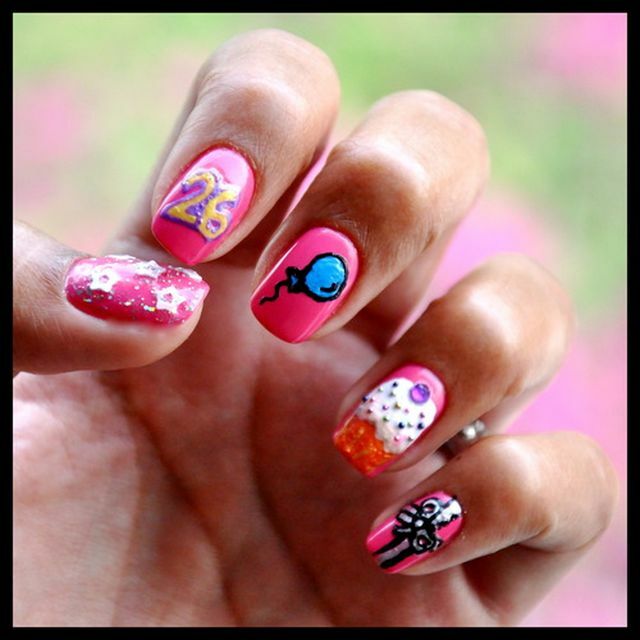 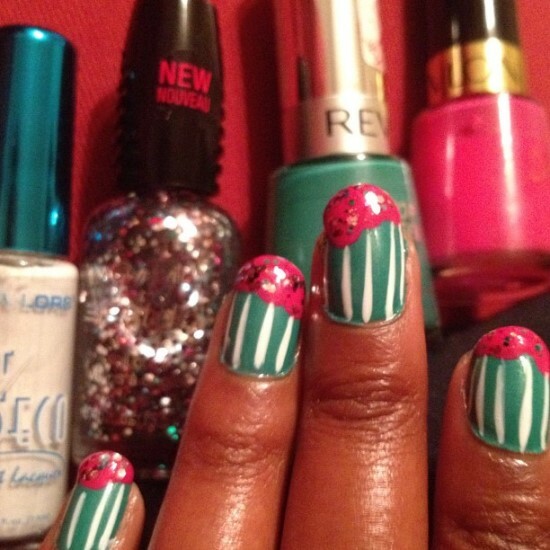 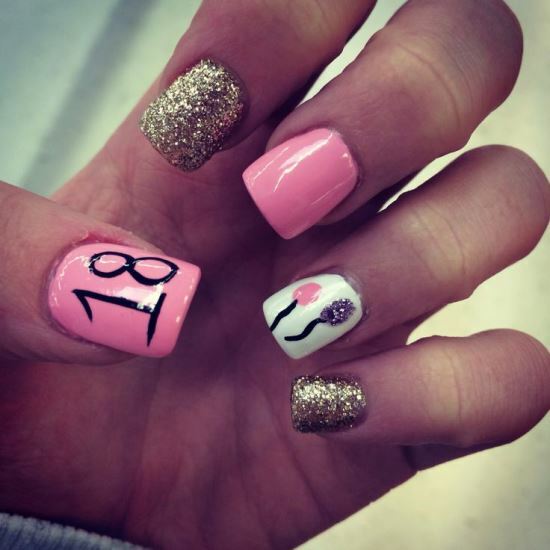 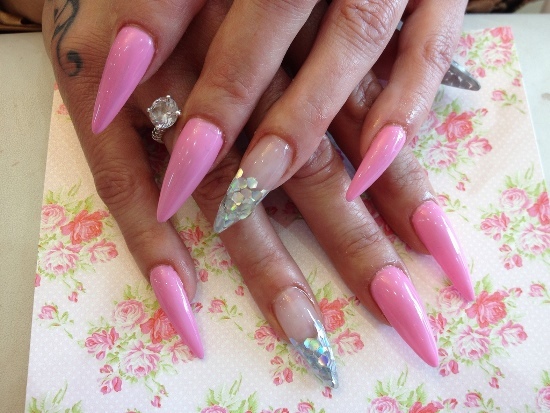 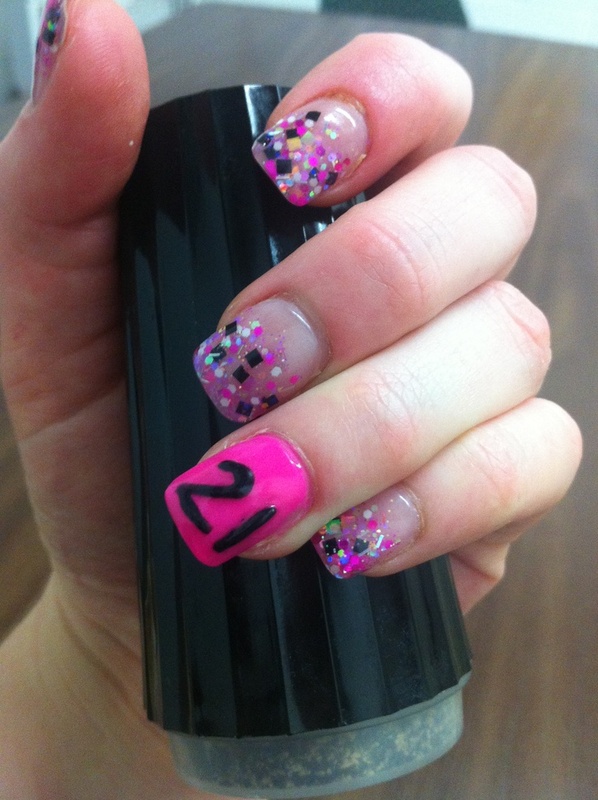 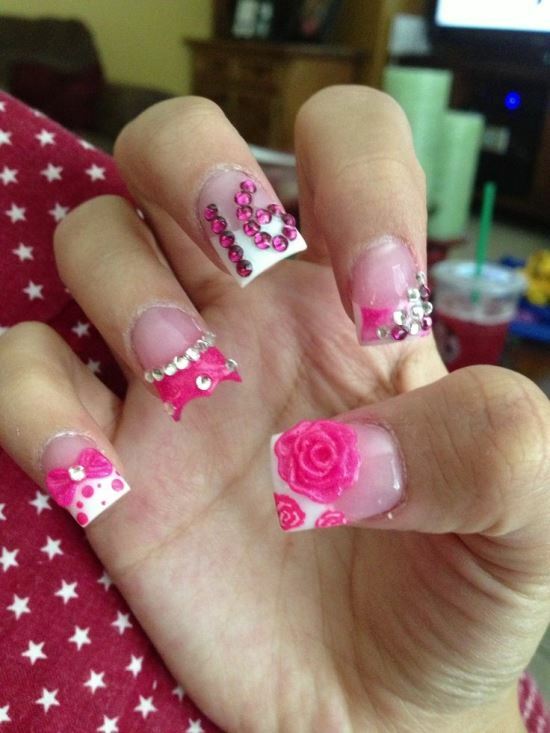 One of the most commonly used birthday nail designs is to paint your age on the nails. 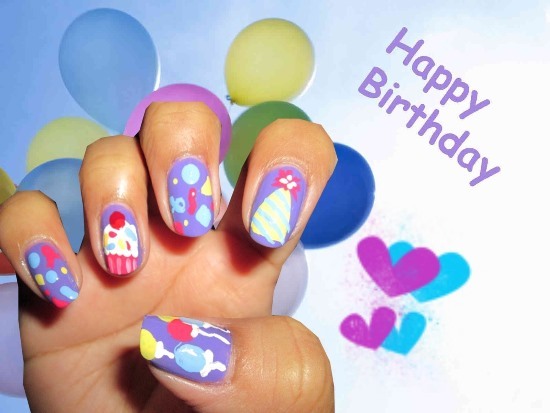 You could use the most attractive of nail polish colors to create beautiful nail designs for your or someone else birthday party. 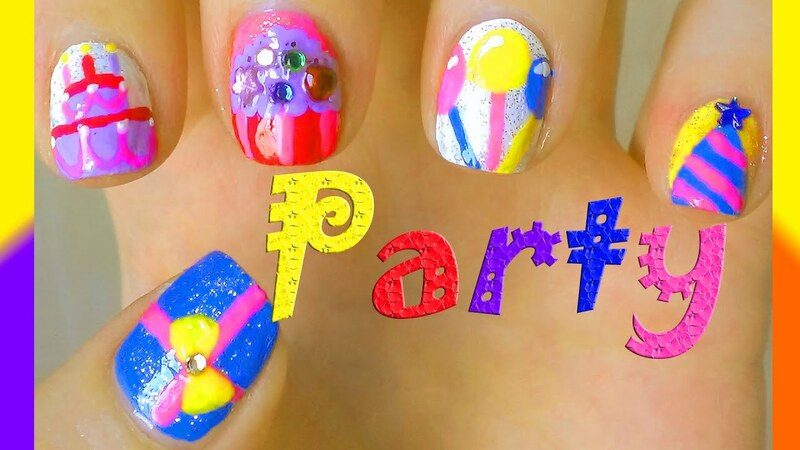 Blue, white, red, yellow, green, etc. 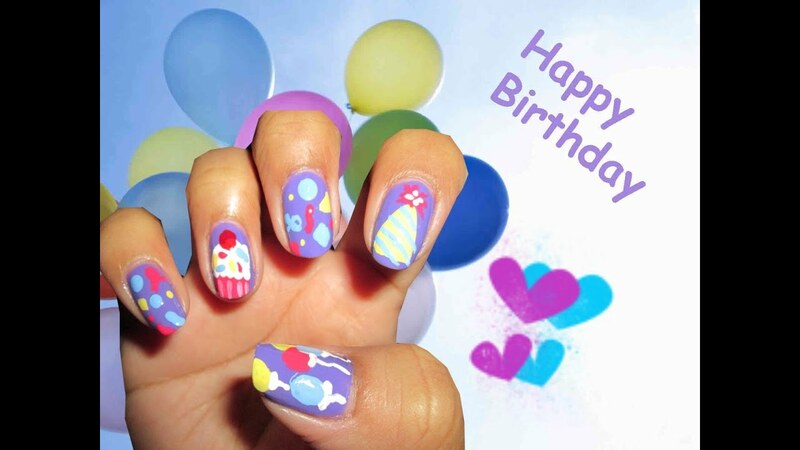 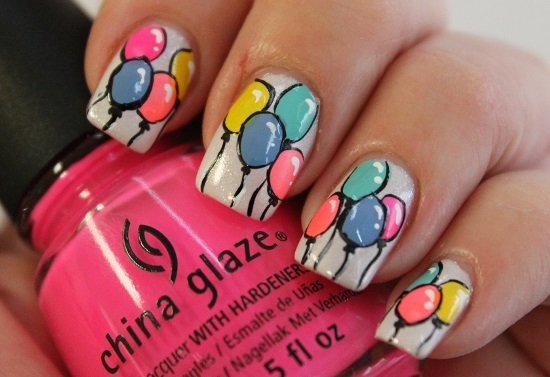 are some of the common colors that you want to use for birthday themed nail art. 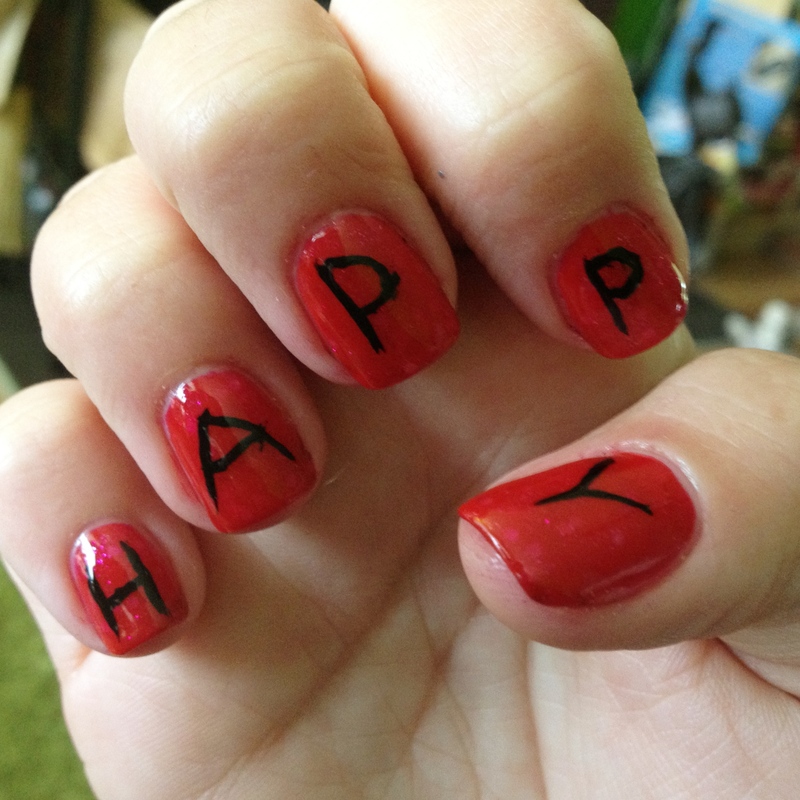 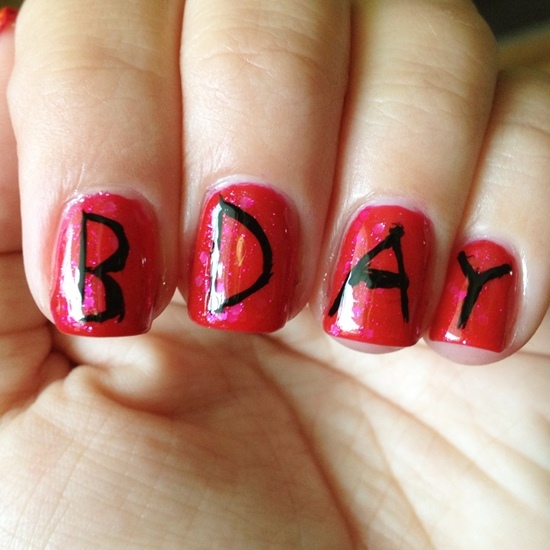 Birthday nails can also replicate your birthday decorations. You could paint your nails an opaque white for the base and then paint different decorative materials on them. 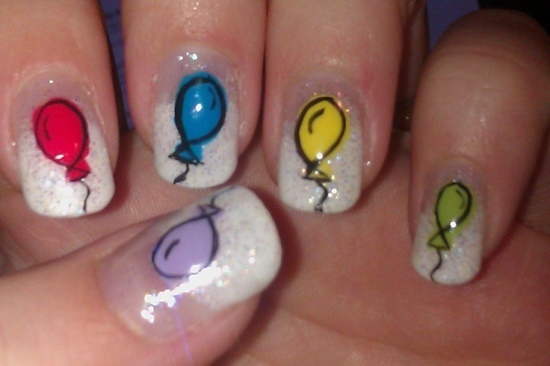 You could paint balloons, ribbons, bows, etc. 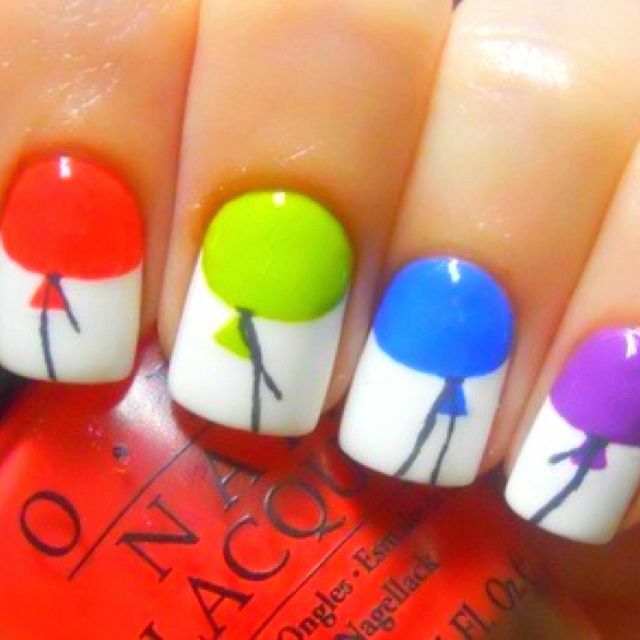 in different and any colors of your choice. 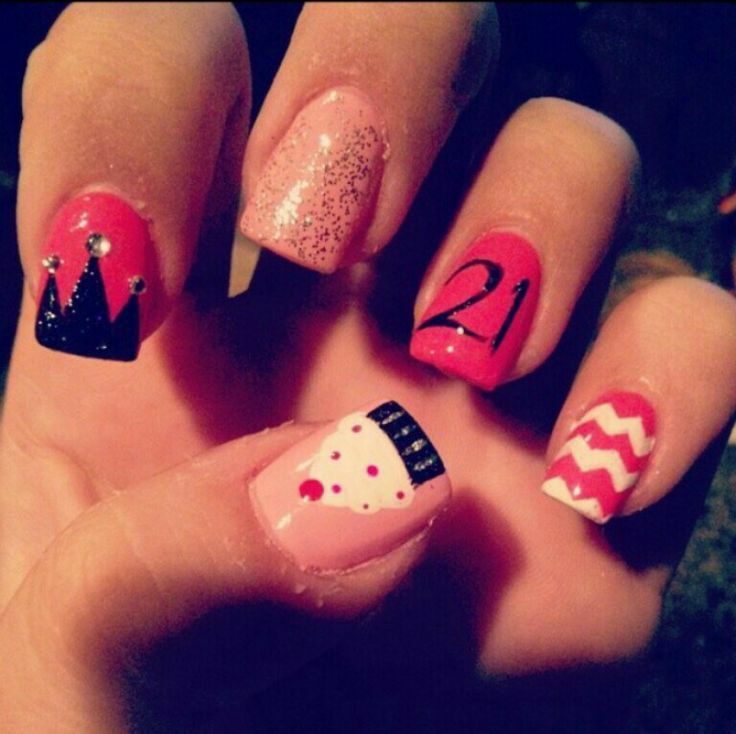 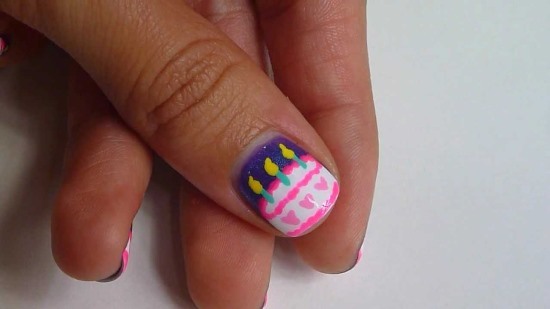 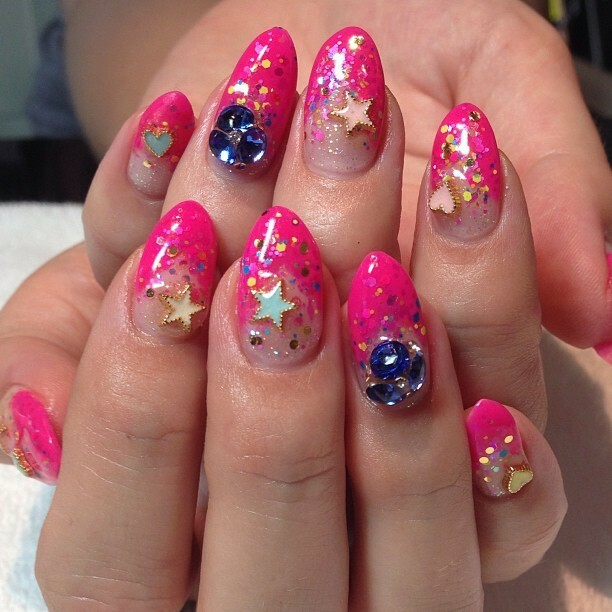 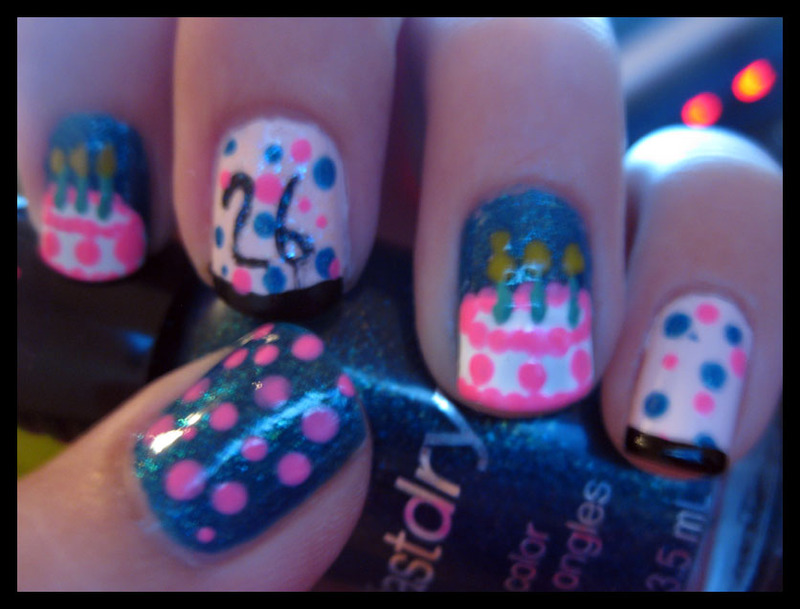 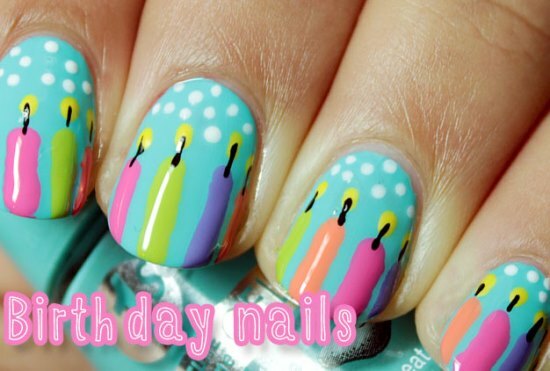 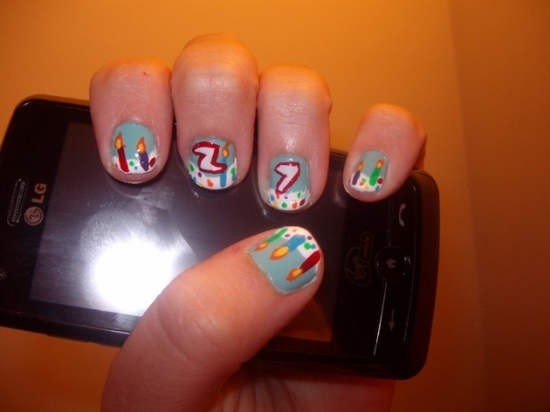 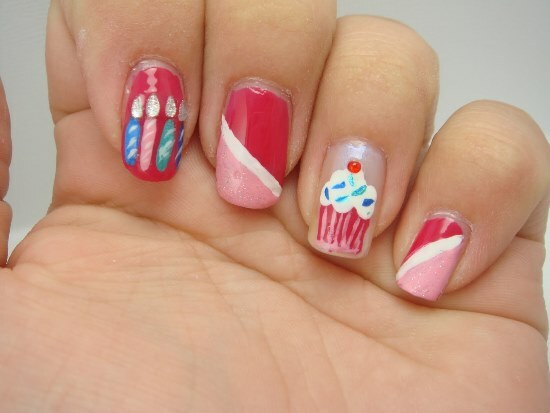 Other common birthday nail designs include cakes and cupcakes. 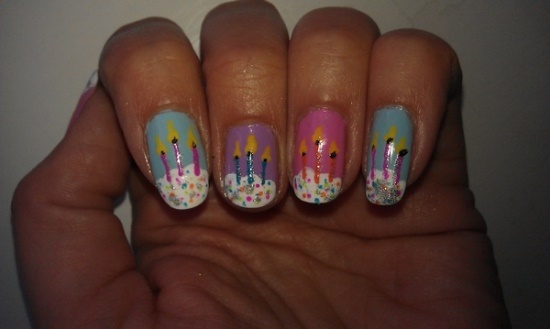 You could paint a miniature version of your own birthday cake on your nails, all with lit candles and cake cutting knife. 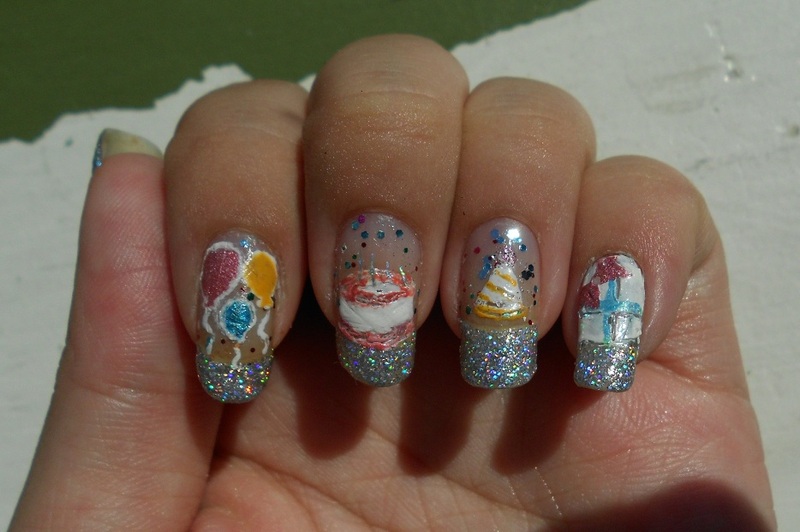 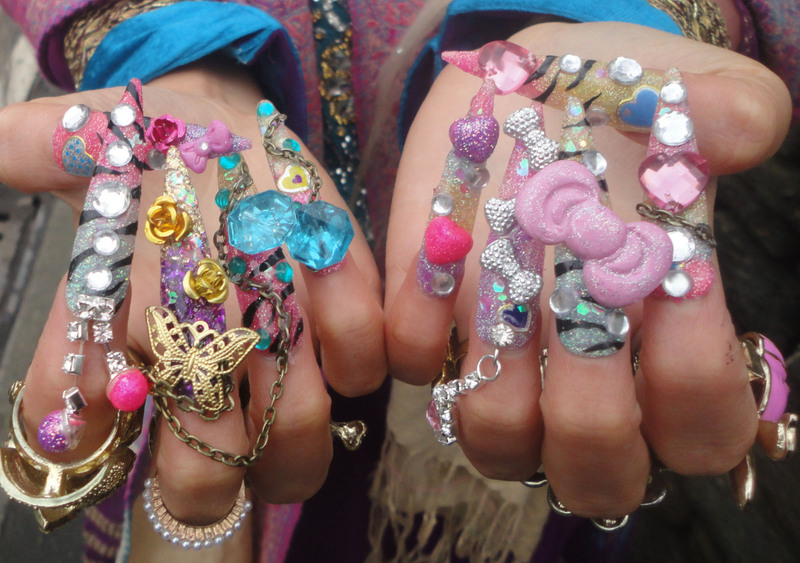 However, you many not necessarily have the cake on all your nails. 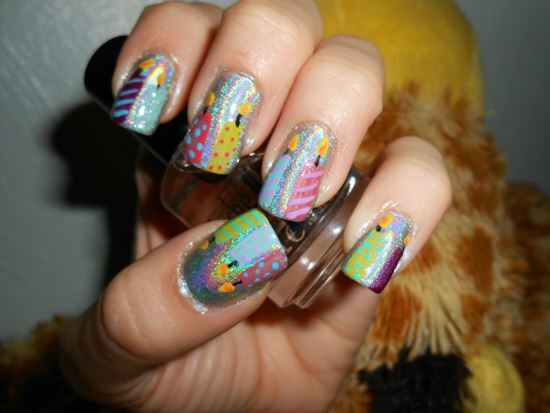 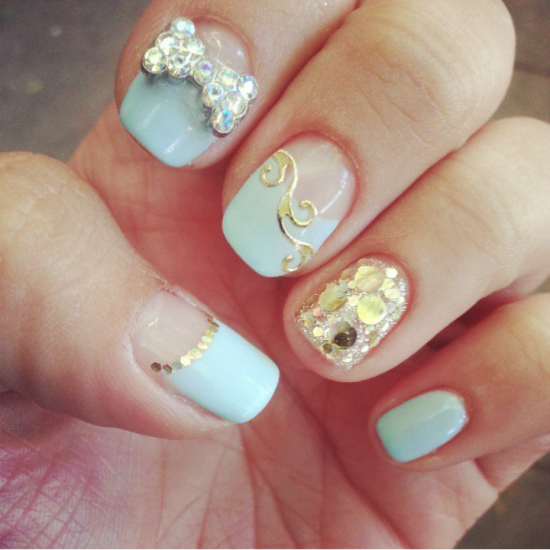 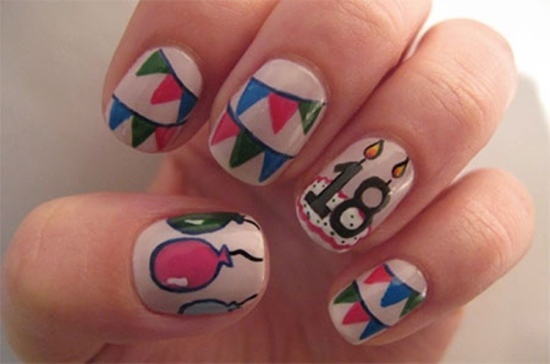 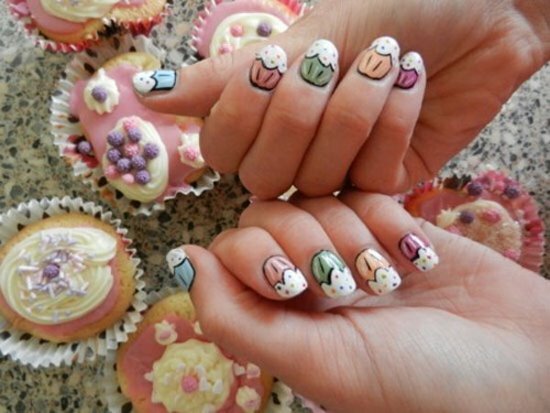 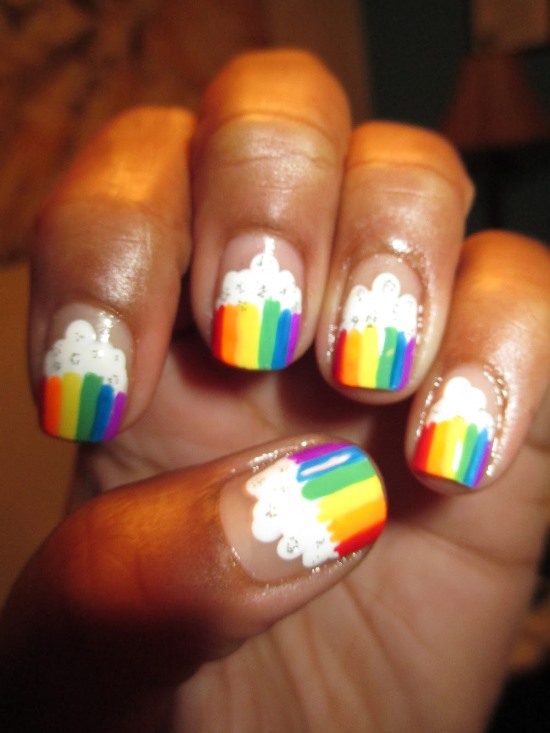 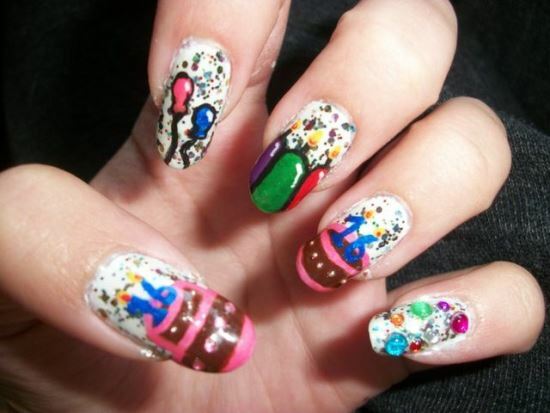 You can always mix in designs such as the cake, your age, and decorative materials, all of this on all your nails. 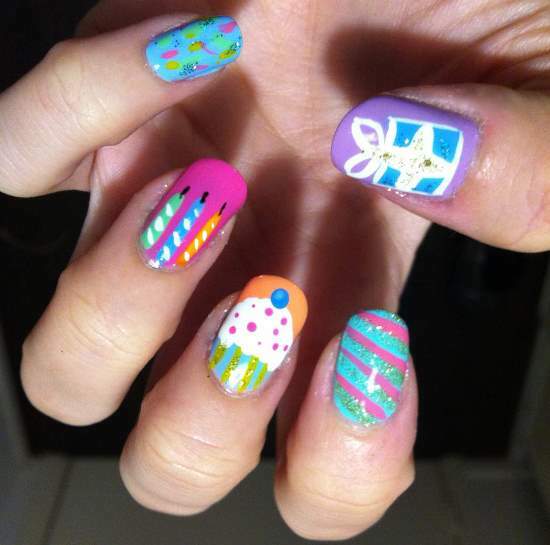 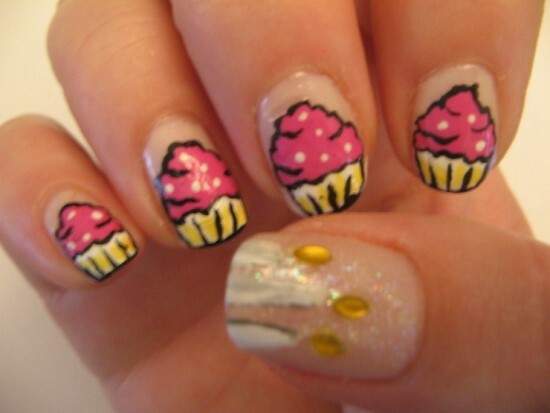 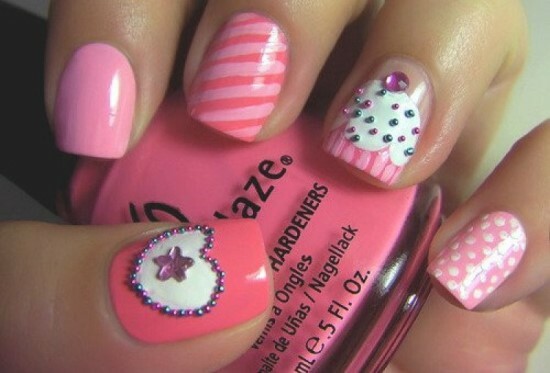 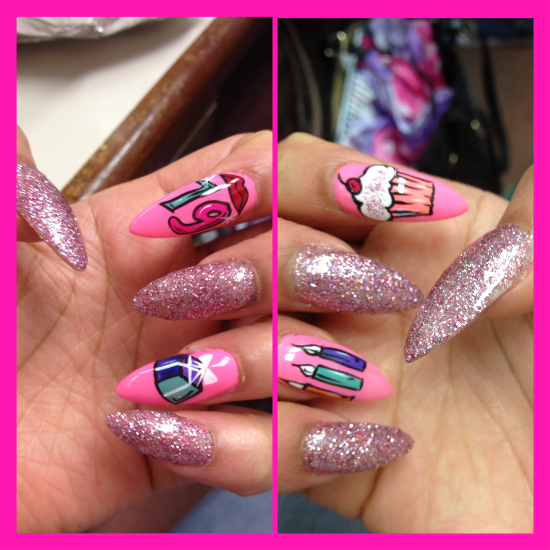 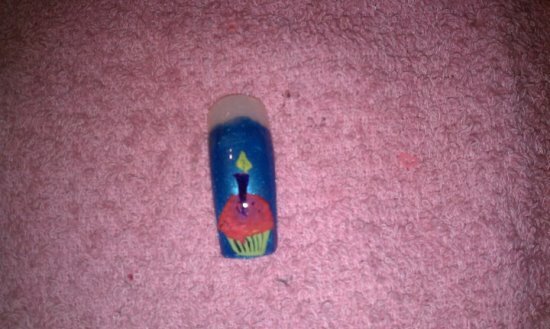 Cupcakes are also a popular design used for birthday nails. 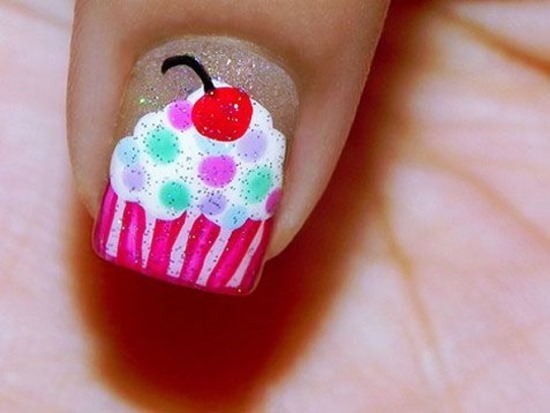 You can paint cute cupcakes with different polish colors all cute ones such as blue, pink, chocolate, green, yellow, etc. 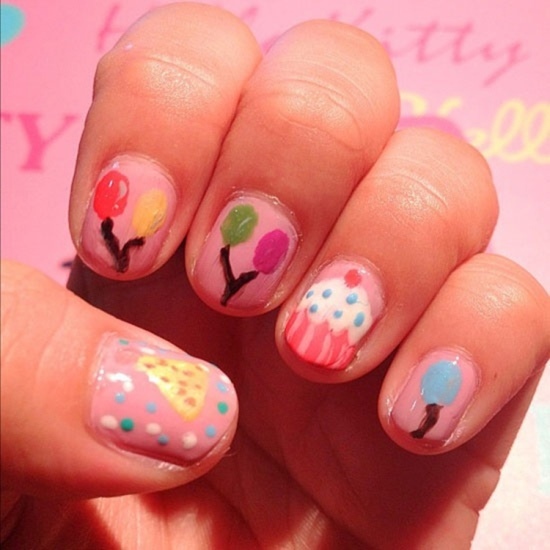 For cupcake designs, you can choose to create a perfect cupcake, with sprinkles of different colors, shapes, and sizes on your nails. 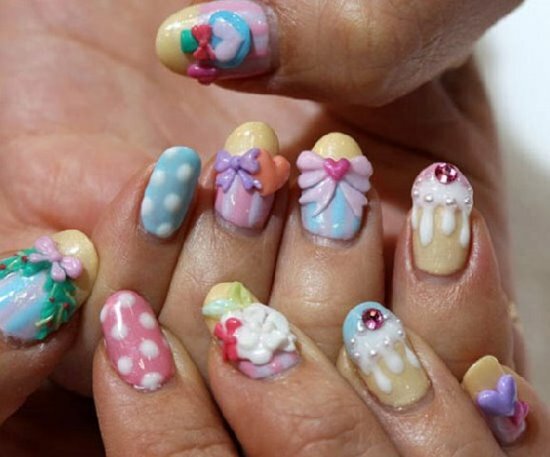 You also have the option to paint ice creams on your nails, again using any color of your choice instead of the proper ice cream colors. 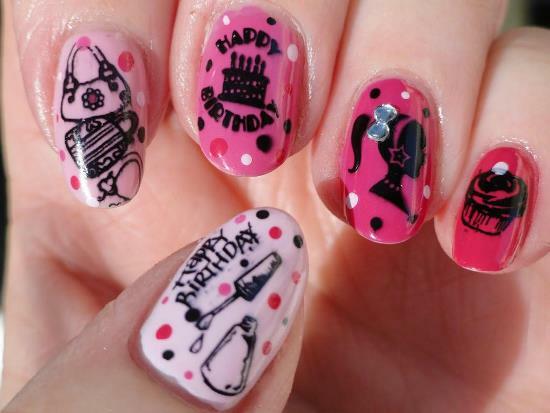 To make your birthday nail art even more interesting, you can use 3D rhinestones, caviar beads, and stickers on your nails. 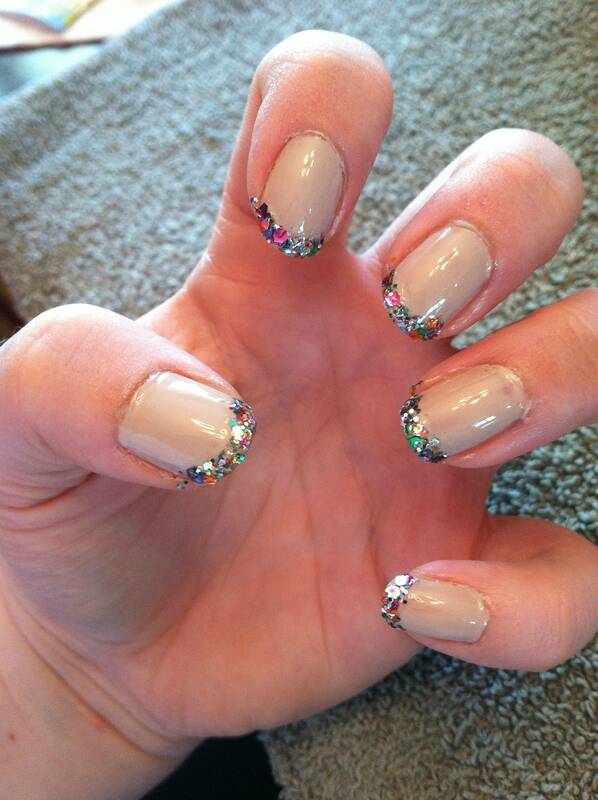 Glitter polish is also a great option to use on your nails. 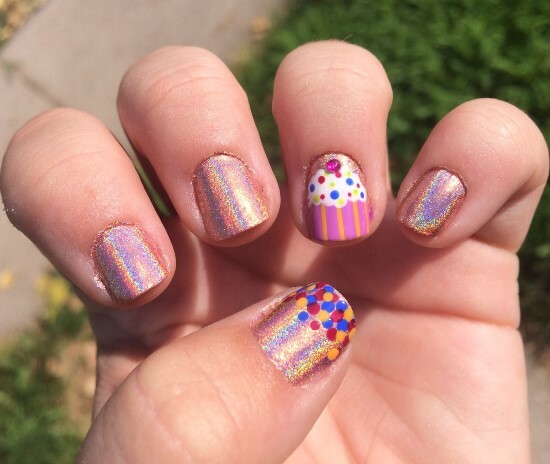 Glitter polish or flocking powder will only make your birthday nails look that much more interesting, attractive, and even alive. 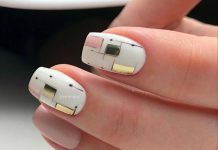 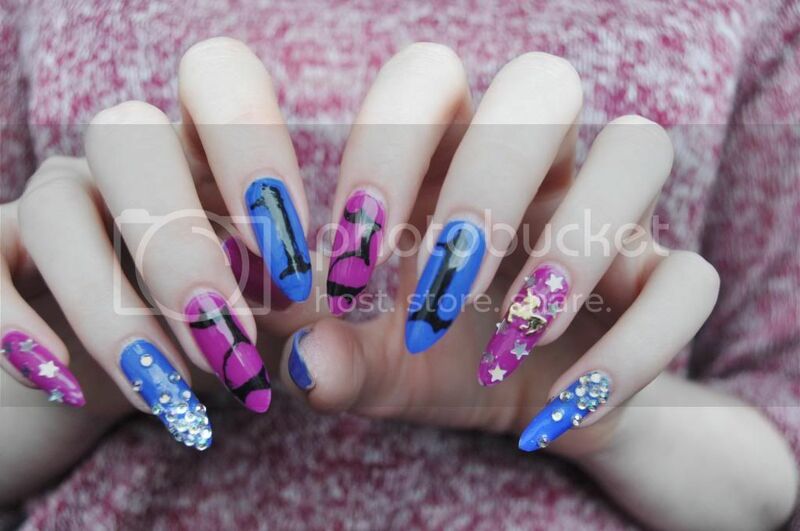 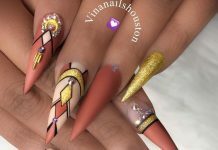 As you can see, there are many designs and ideas you can use to create some of the most interesting and attractive nail designs on your birthday. 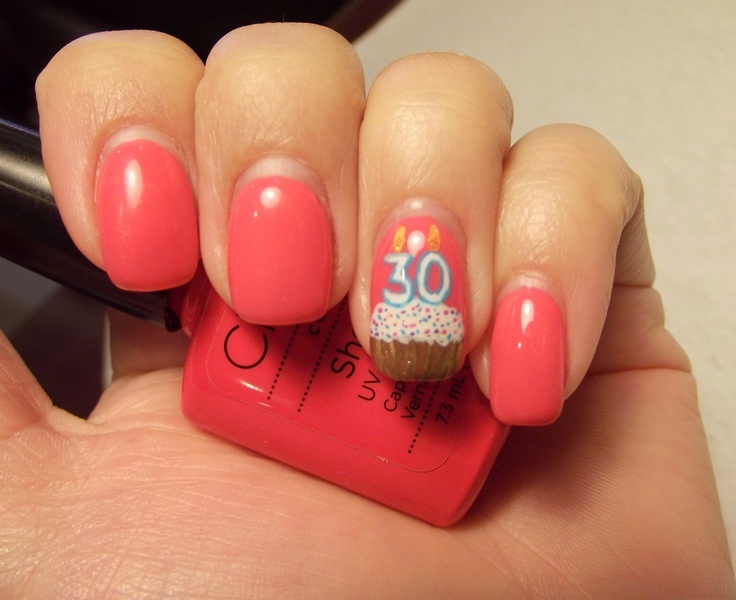 We here have gathered some 50 stylish happy birthday nail designs ideas for you to sift through and choose for yourself.